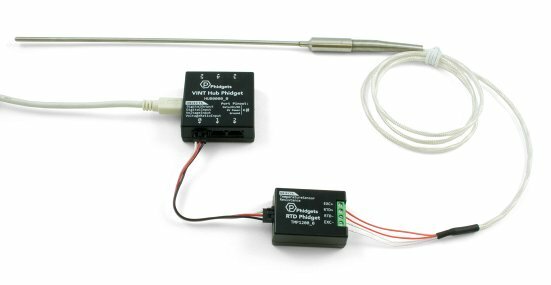 For applications that require precise temperature measurement, you'll find that an RTD is often prescribed by the experts. The resistance of the element inside an RTD will change with temperature, and because it's made of a pure metal (usually platinum), this resistance value will change in a precise and repeatable way. 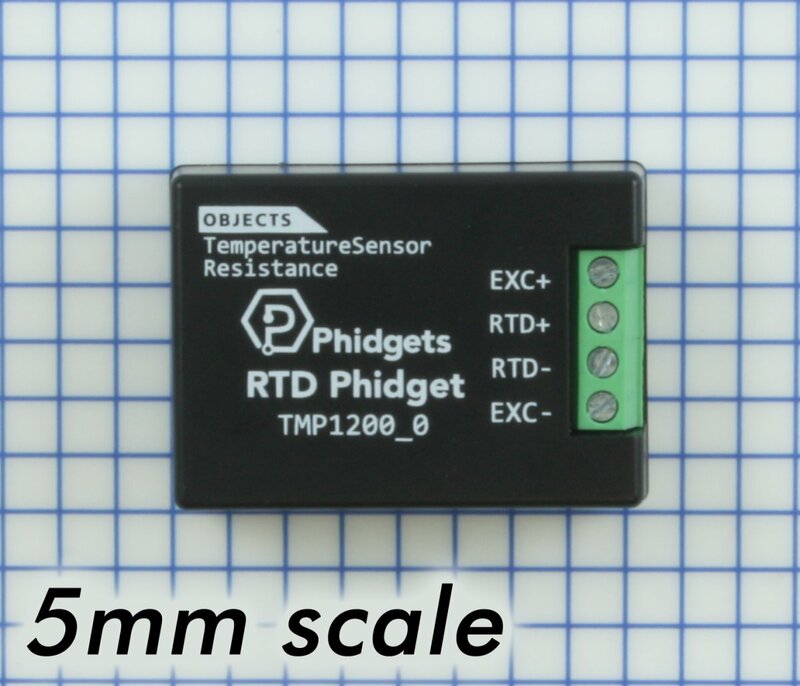 The RTD Phidget measures these subtle changes, so you can get the most accurate temperature measurements sent right to your VINT hub. 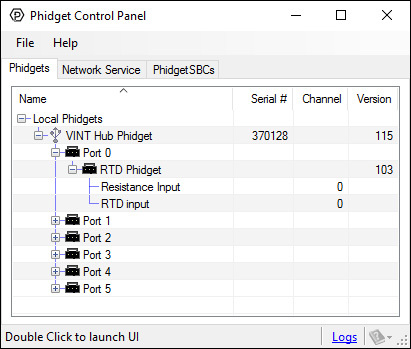 See the Connection & Compatibility tab for a list of VINT Hubs. 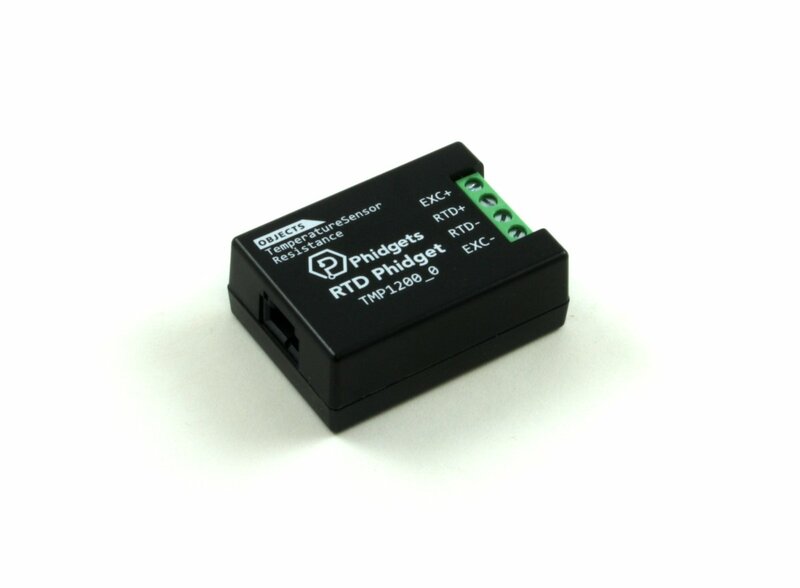 Setup is easy with this adapter; you can choose the number of wires that your RTD has (2, 3, or 4), and then select the type of RTD you're using (PT100, PT1000, etc.) with commands in our API. The adapter does all the math, leaving you with the sampled temperature in degrees Celsius. 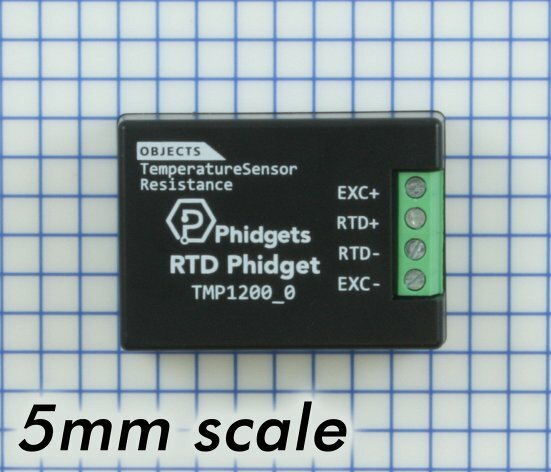 You can also read thermistors and other resistive sensors by using the resistance sensor object in your program. 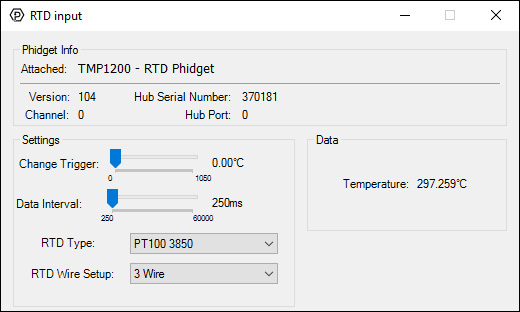 You'll receive the data in ohms, and can convert to the desired unit by using the formula in your sensor's datasheet. You could even use it as a simple ohmmeter for resistances up to 19 kΩ.